A girl, or man for that matter, can never have enough shoes, and if you're like Imelda Marcos with an ever growing collection of shoes, Imelda had over 1,000 pairs, you're going to need somewhere to store them. You may even want to show them off, after all they probably cost a pretty penny so why shove them under the bed or in the back of the wardrobe out of sight? Make a wall display of your prettiest shoes; you'll find it easier to team them with your outfits too! 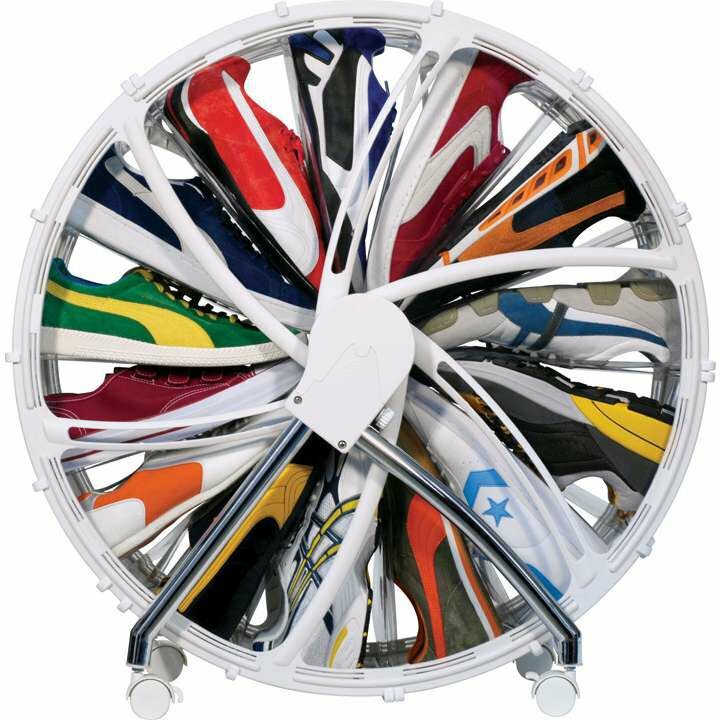 Put them in a Ferris Wheel shoe tidy; you'll be able to whiz it around 'til you find the pair you're after. 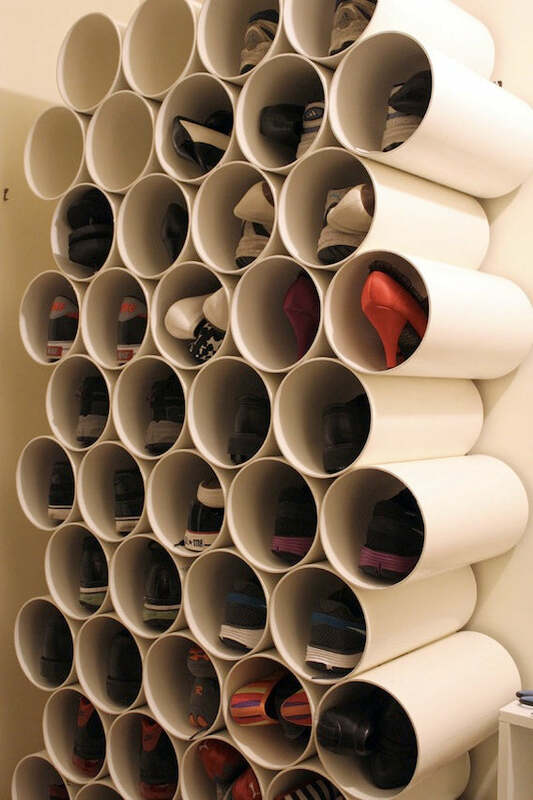 Have a go at up-cycling plastic pipes by turning them into your own shoe storage mountain. 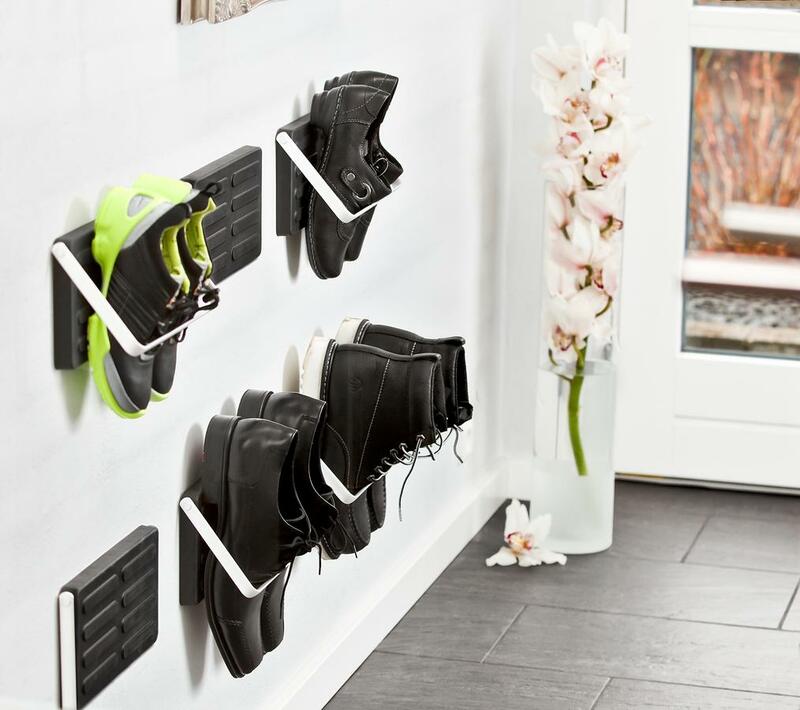 Be really organised with these specially designed individual wall mounted shoe storage racks. You'd have to have an awful lot of them if you're like Imelda! A practical way to store your shoes. This neat little shelf has a distinctive masculine feel. If you have them flaunt them! And what better way to do so than in a glass fronted dresser. This has to be one of the best up-cycled projects I've seen in ages. 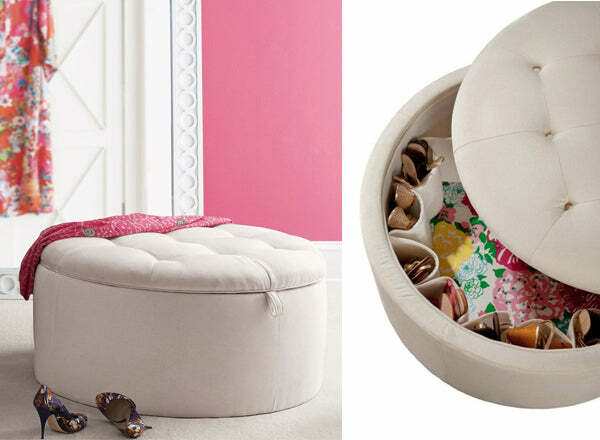 This pouffe has shoe storage inside – how efficient is that? I love the idea of kicking your feet into this shoe rack and leaving your shoes behind – children and teens will love it. 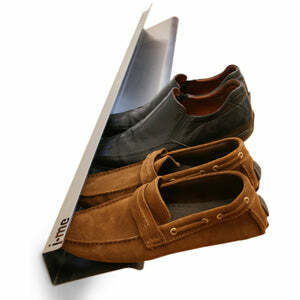 There'll be no need for reminders for them to take their shoes off if you had one of these! 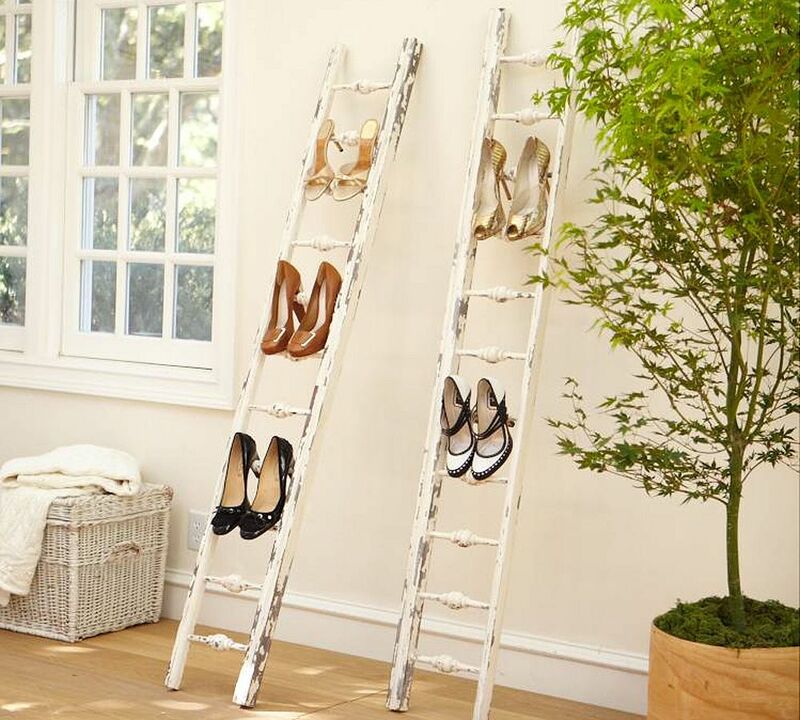 An old rustic ladder or two is ideal for hanging your shoes. A step ladder works just as well. 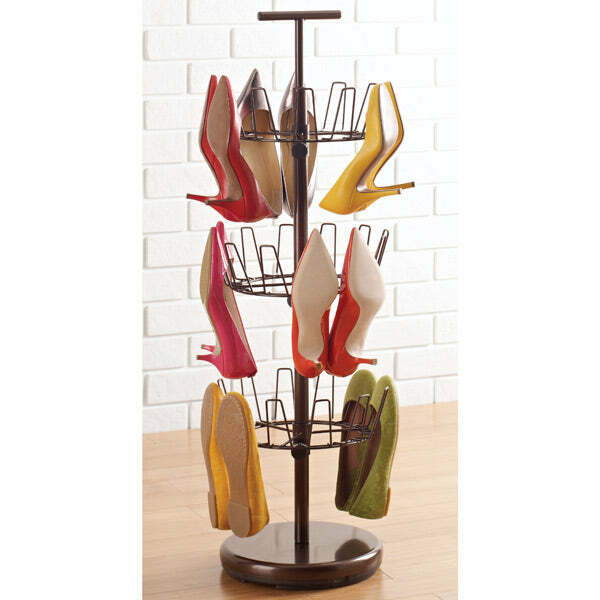 Make your shoe rack a piece of wall art – fine all the wile there's no muddy bottoms! 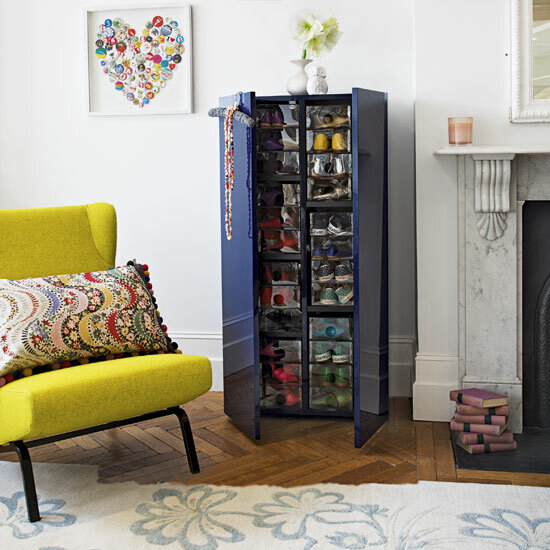 Convert an old tall boy into a storage cupboard for shoes. 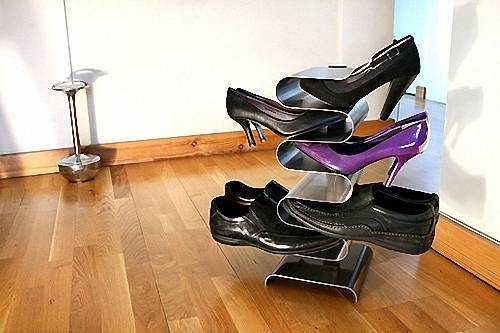 A modern design concept to de-clutter and organise shoes.